Excellence is not an accomplishment. It is a spirit, a never ending process. 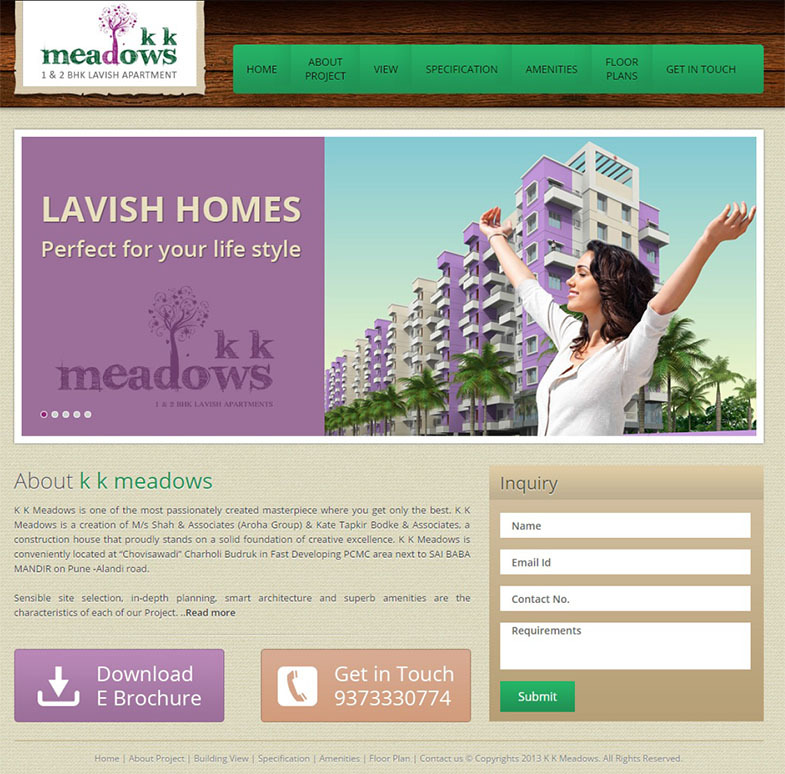 KK Meadows is a Architecture provider web site. Here one can easily find ongoing projects , completed projects, company overview, up coming projects. K K Meadows is one of the most passionately created masterpiece where you get only the best. K K Meadows is a creation of M/s Shah & Associates (Aroha Group) & Kate Tapkir Bodke & Associates, a construction house that proudly stands on a solid foundation of creative excellence. K K Meadows is conveniently located at “Chovisawadi” Charholi Budruk in Fast Developing PCMC area next to SAI BABA MANDIR on Pune -Alandi road.